I’ve stated on numerous occasions here in this blog and through social media how disappointed I am with my former profession. The media, the free press, given constitutional protection by the founders of this nation to be the watchdog over the “grand experiment” that was and is America, is failing in its responsibility and, in my opinion, sacred trust and duty to inform the citizenry of the actions of its government. The American press is negligent and derelict in its duty. Shortly after founding the Missouri School of Journalism in 1908, Walter Williams wrote a code of ethics known as The Journalist’s Creed. I would be surprised if even a small majority of journalists have ever heard of it let alone read it or strive to work by it in their daily profession, though it stands in bronze at the National Press Club in Washington, DC for all to see. How many walk by it daily without a second thought? I believe that the public journal is a public trust; that all connected with it are, to the full measure of responsibility, trustees for the public; that all acceptance of lesser service than the public service is a betrayal of this trust. I believe that no one should write as a journalist what he would not say as a gentleman; that bribery by one’s own pocket book is as much to be avoided as bribery by the pocketbook of another; that individual responsibility may not be escaped by pleading another’s instructions or another’s dividends. I believe that advertising, news and editorial columns should alike serve the best interests of readers; that a single standard of helpful truth and cleanness should prevail for all; that supreme test of good journalism is the measure of its public service. I believe that the journalism which succeeds the best-and best deserves success-fears God and honors man; is stoutly independent; unmoved by pride of opinion or greed of power; constructive, tolerant but never careless, self-controlled, patient, always respectful of its readers but always unafraid, is quickly indignant at injustice; is unswayed by the appeal of the privilege or the clamor of the mob; seeks to give every man a chance, and as far as law, an honest wage and recognition of human brotherhood can make it so, an equal chance; is profoundly patriotic while sincerely promoting international good will and cementing world-comradeship, is a journalism of humanity, of and for today’s world. It isn’t perfect, but neither is the profession occupied by imperfect human beings. That, however, does not excuse the blatant disregard for most of the tenets of this creed by our current broadcast media, print media, and news organizations. I challenge any and all who call themselves journalists, at any and all professional levels to read the creed and then perform a sincere inventory of his or her journalistic practices. This country needs a voice it can believe, verify, and trust. Who will be the journalists to accept that charge? Who will follow the creed and all other ethical codes of conduct? « Polling to Discourage the Conservative Electorate? Interesting Weighting of the Major Polls. I agree with your thoughts 100 percent. I feel that our single largest threat to our democracy is the lack of an unbiased media. How can the public be informed to cast a proper vote when they don’t know the truth? I believe ideas must start somewhere, and I hope you will have a sympathetic ear to listen to this one. I would like to propose the idea of a voluntary council or panel to which journalists could be held accountable. This could be a voluntary organization, somewhat like a fraternity. Admission to this organization would require pledging an oath to accuracy and honesty in reporting. Failing to honor this oath would invoke sanctions and discredit the journalist. The journalist would be able to proudly display his credential when publishing his journalistic product, and the news consuming public would be better able to discern the accuracy of the report. 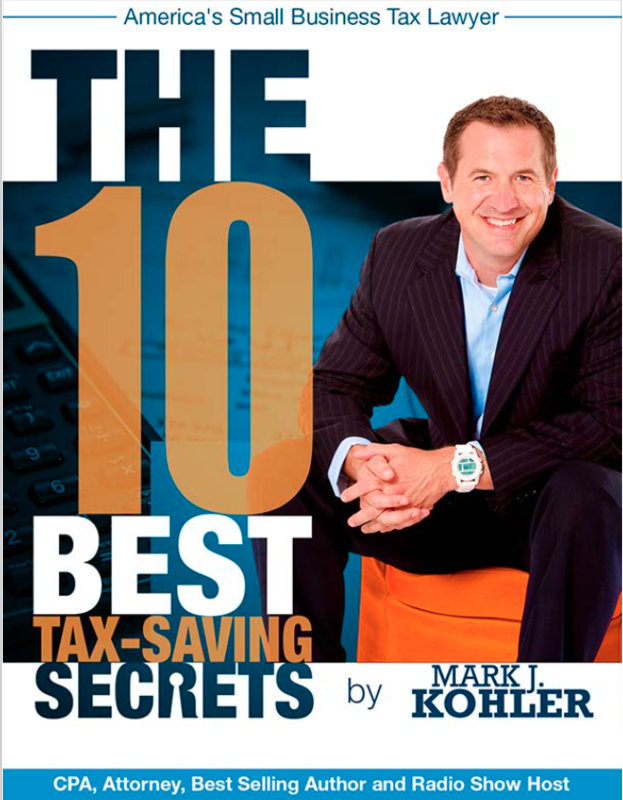 A good analogy would be the Underwriters Laboratory or the Good Housekeeping seals of approval. I believe that with social media, and the “viral” nature of many activities, that it would possible to implement such an organization from a grassroots level. I feel the public would be willing to demand it. Would you be interested in participatind in the start up of such an effort? I believe this could become the beginning of a movement that could possibly save our nation. I obviously am not a journalist. Please forgive my elementary composition skills. My background is not journalism, it is medicine(dentistry). My grandfather was a newspaper editor, my mother was an English teacher, and from this background, I have developed a great respect for true, unbiased reporting. I present this concept being unaware of any other organization of its kind. Perhaps you would share with me, from your professional perspective, your opinion of the potential of this idea for an organization which I have described. John, I apologize for not replying to your comment sooner. Groups like SPJ (Society of Professional Journalists), RTNDA (Radio and Television News Directors Association), NAB (National Association of Broadcasters), et al, all have their code of ethics and proclaim to keep an eye on their associates. Unfortunately they have only provided lip service. I agree with your premise and would like to see the profession move toward a more significant qualification process before any would-be journalist can become “credentialed”. If you break the rules or ignore the code you could lose your credentials. The problem I see with such a system would be enforcement and whether it would cross the line of truly having a free press. I don’t want good journalists inhibited by the concern that they could lose their ability to work professionally due to arbitrary interpretation of ethics codes, creeds, or oaths etc. The very definition of a creed, any system or codification of belief or of opinion, implies a common belief must be in place. Who determines that belief? An oath is only as good as the integrity of the person committing to it. So it gets dicey when we try to regulate the industry, so to speak. The “Chilling Effect” could easily come into play in such an environment and it could create a place ripe for blackballing. I wish I had a definitive answer to your question. In the end we rely on good honest people who are truth seekers and will bend to no agenda. In the world of big money news media where being first is more important than being accurate finding that kind of altruism is a tough task. Doesn’t mean we can’t keep looking for plausible answers and ways to improve our press corps. Doug, I have written the same in your voice but my own words. Journalism used to be a career. Being a journalist used to be something to aspire to. I too cite the creed. I believe that this creed is far too general in this age of “social justice” warriors to interpret it the way they are and use journalism as an organ of control; of course, they justify in as in the public interest. This is an excellent start and a strong foundation to build upon. We need to get this to go national–right now! Please contact Corey Lee Wilson, President of Fratire Publishing at fratirepublishing@att.net if you would like to join this cause and help make this possible. 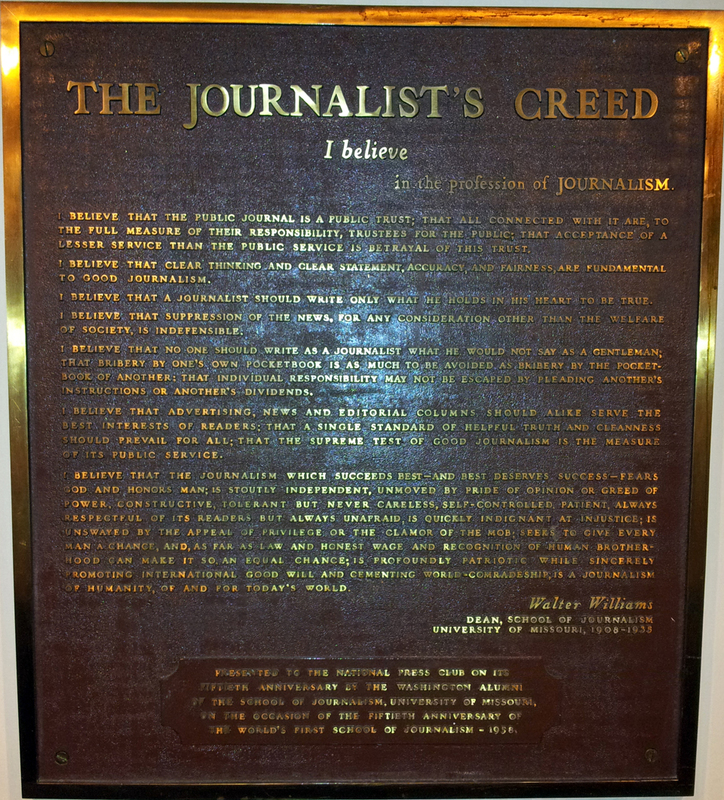 The Missouri School of Journalism was founded in 1908, and Dean Walter Williams wrote The Creed in about 1914. Thanks! Thank you for the correction! My original source (a text book from my college days) had it wrong. journalistic pledge | Scanned Retina – A Resource for the People! I am starting a small online paper. Tired of my local home town joke of a publication. I plan to follow this. And make it a part of the paper that is public. Let the people see the oath. Especially the junalists I work with.